The draw for the qualifying rounds of the Champions League was conducted today, and saw Manchester United drawing Belgian outfit Club Brugge. 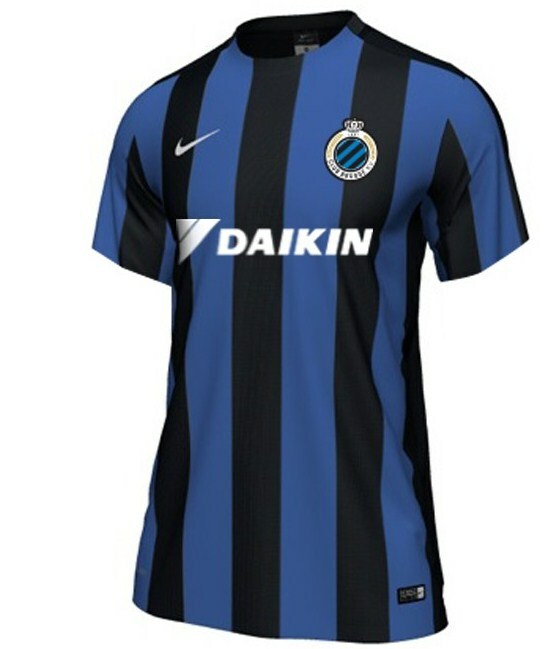 Brugge finished second in the Pro League in 2014/15 behind Gent, and will wear Nike strips during the 2015/16 season. Both their jerseys are pretty standard Nike templates. 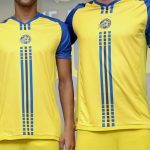 The home one is the black and blue striped one in the pics below, while the away jersey will be red. Red is however not a new colour for Brugge fans, with the club having first used it during their successful period in the 70’s. 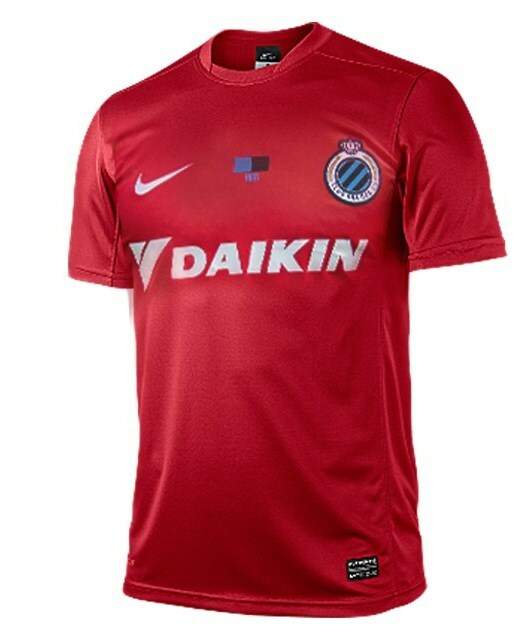 Brugge also have a new sponsor this season in the form of Japanese airconditioning giant Daikin, who have signed on for the 15/16 season. 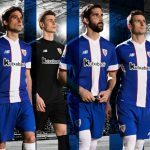 In pre-season, the club had the Make a Wish Foundation’s logo on their jerseys. 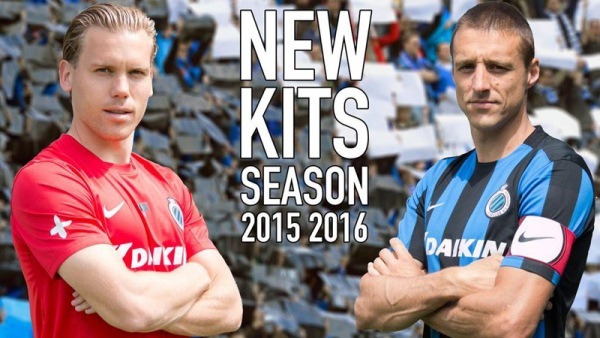 This entry was posted in Other Football Leagues on August 7, 2015 by Football Kit News. Too bad they can’t wear that “succesful” red at Old Trafford. Funny how some templates are ‘boring’ and some are ‘smart and simple.’ These are every bit as boring as Leyton Orient’s choices from the Nike catalogue, and yet I bet they don’t get slagged off as much. Boring. 😉 Much too plain, and no stripes on the back. 2/10. WTF? A simple classic, you guys are clueless! Love the home, but the away is second best. 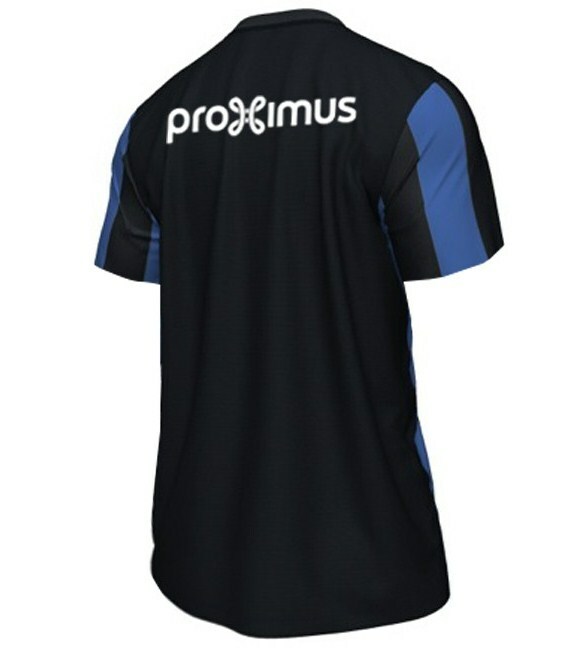 ¿Saben dónde puedo conseguir la camiseta de club brujas de Bélgica en México?